Weekly update: 20 races down! Two more races run, and we’ve now raised $34,869 for the GBS/CIDP Foundation! Progress so far: 67% (two-thirds!) of the way to our goal of $52,000, and 38% of the way to our awareness-raising goal of 52 races in 2015. The biggest news financially is that eBay donated $5,000 to our campaign. I’m proud to have worked for a company that values philanthropy so highly and supports so many important causes. Please join me in thanking John Donahoe and Robin Pitman in particular for their help – if you’re at eBay, please say thanks in person if you see them! Add to that the generous contributions of $100 by Ravi Aringunram, Johnny Sheeley, and Peter Bell, and $25 from Thomas Moran. These are all special people – thank you to all of you! Together, you’re making a huge difference. On the running front, I am working hard to get back on track. Back on track would be 26 races in the books by the end of June! Today, I’ve completed 20 races, and I’ve got two more planned for this weekend – and let’s see if I can find another two for the weekend after that. If I can pull that off, I’ll be at 24 races at the half way mark… we’ll get there! 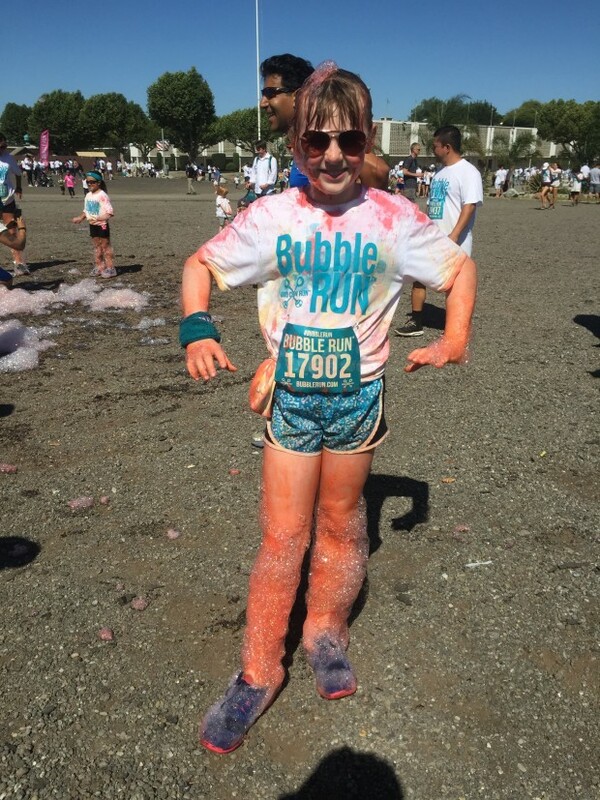 We had a great time with the kids running the Bubble Run 5k. There’s a cool video in my race report. Selina and I also ran the Lupus 5k on Sunday, and my race report on that one is over here.